Parini Hotel is located in the centre of a small town called Bosisio Parini. Bosisio Parini is in Lecco province, it is easily reachable from Strada Statale 36 and it’s 12 km far from Lecco, 20 km from Como and approximately 45 km from Milan. 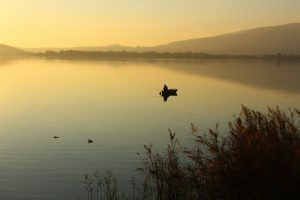 Bosisio Parini is situated near the small but suggestive Pusiano lake, reachable by a 5 minutes walk from our Hotel. This town hold this name thanks to the famous poet Giuseppe Parini, borned here in May, 1729. Since 1929, Bosisio modified its name in Bosisio Parini. This town is part of Parco Valle Lambro. Moreover, in the vicinity is located Istituto E.medea- “La nostra famiglia”, a medical structure well known throughout Europe. 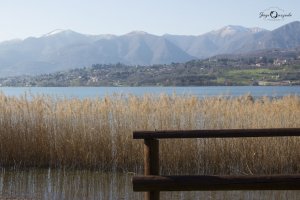 Bosisio is a modest town, it has 3500 habitants; on the lakeside, you can find a sweet walking path, where you can stare at the landscape or relax sunbathing in an area called Parco Precampel. Near the lake you can also find the dock of “vago Eupili” boat; with this boat you can make a panoramical route of the lake and see Isola dei Cipressi, a small private island in the lake, recently named among the ten best island to visit. 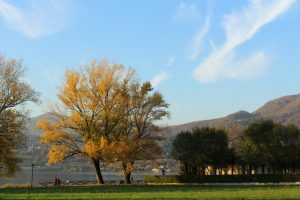 The town’s municipal administration sustain a turistic project, called Itinerario Pariniano, a route aiming to promote the places linked with the poet Giuseppe Parini, who, inspired with the landscape beauties of his homeland, wrote his first poetry book under the pseudonym Ripano Eupilio. This route includes varous places: the Ancient Church, where the poet came baptized; the baptismal font, now located in Sant’anna’s church; the statue of Parini in the town centre; the house museum of the poet, in the upper part of the town. The house museum does not have the original items and furnitures, but other ancient item and furniture of that time. The town association Proloco offers an interesting guided visit, that leads the tourists in discovering this places, explaining historical and social contexts. In Bosisio Parini you can practise many sports, especiallly water sports,like rowing and fishing; in the near town of Pusiano there’s a qualified european centre promoting rowing. It’s an ideal place also for Golf lovers, practicable at Lecco Golf Club, located in Annone Brianza, a town near Bosisio Parini. You can also take part in several routes with a bycicle, like the route that links Bosisio to Ciclovia dei Laghi, a very large route connecting all the lake towns. If you are a lover of aerial sports, it’s possible to organize a paragliding session at mount Cornizzolo. There is also a cross track in town, where races and regional tournament are periodically held. The natural conformation of the territory make it perfect going trekking, for both experts and beginners.